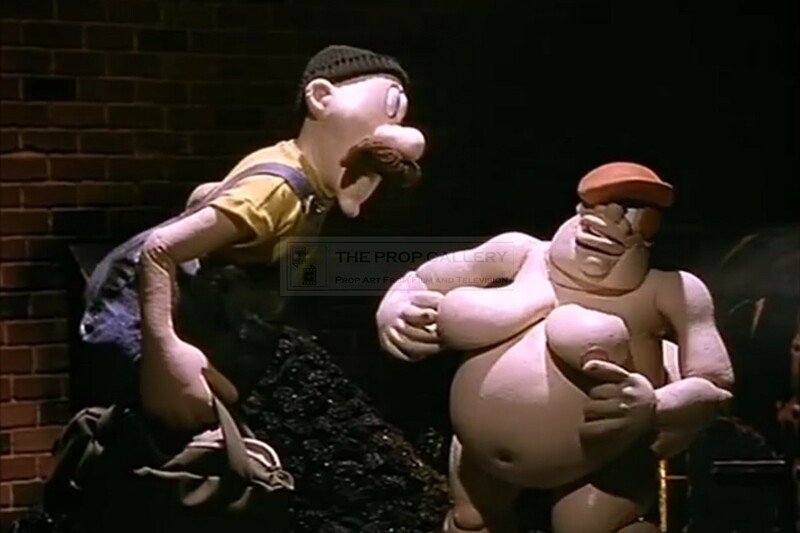 An original puppet used in the production of The Fat Slags - Blue Honeymoon, the 1994 animated feature produced by Viz, the noted comic magazine founded in 1979. This is an original stop motion animation puppet for the character of Horace Haystacks, father of Thelma, the good natured wife of Baz. 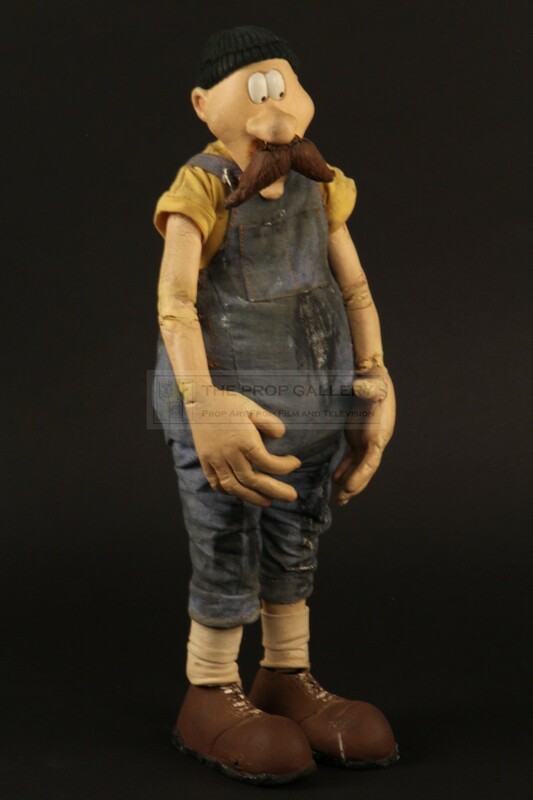 The puppet is constructed from soft foam over a fully poseable internal metal armature allowing the character to be bought to life through the use of stop motion animation. 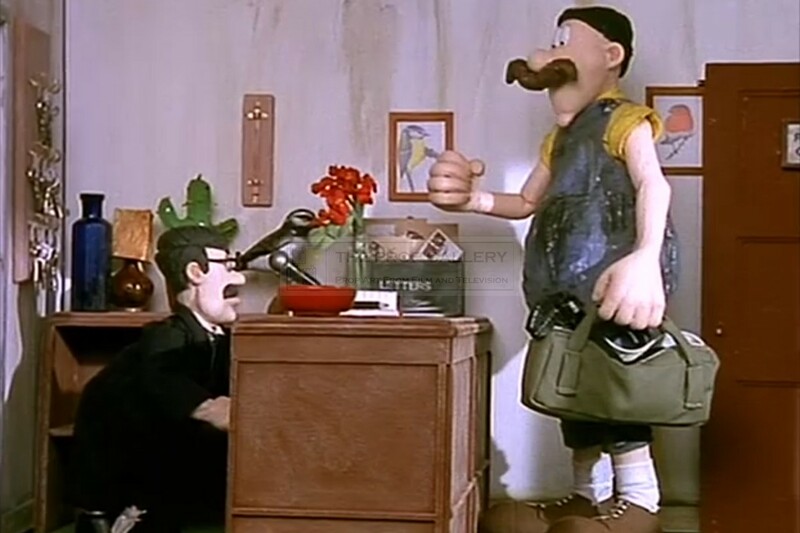 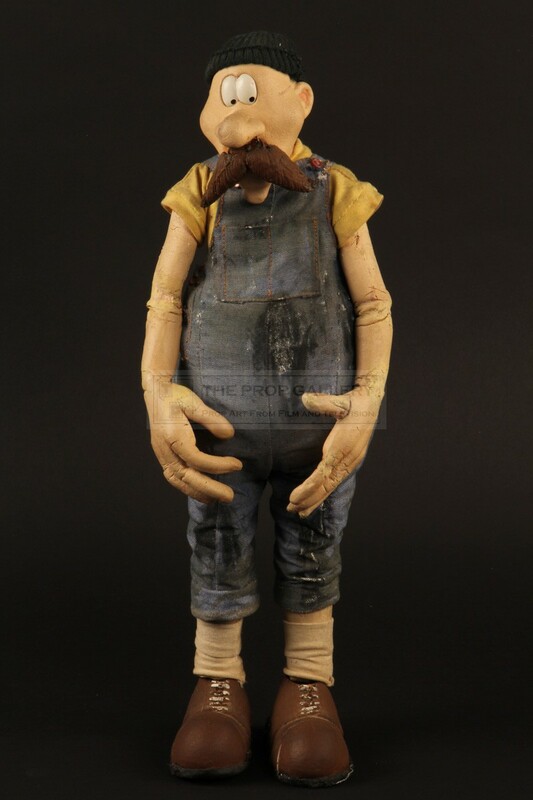 Horace has a number of oversized features including moustache, hands and feet and is dressed in his dirty workman's overalls as seen in Blue Honeymoon, the eyes of the puppet are a resin appliance which can be removed allowing them to be animated using the replacement method. 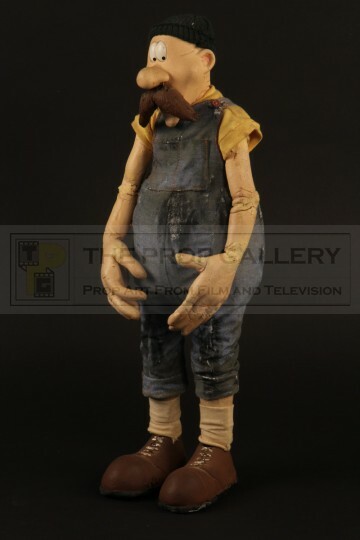 This puppet can be conclusively screen matched to the appearance in Blue Honeymoon and is almost certainly the only one ever created for filming. 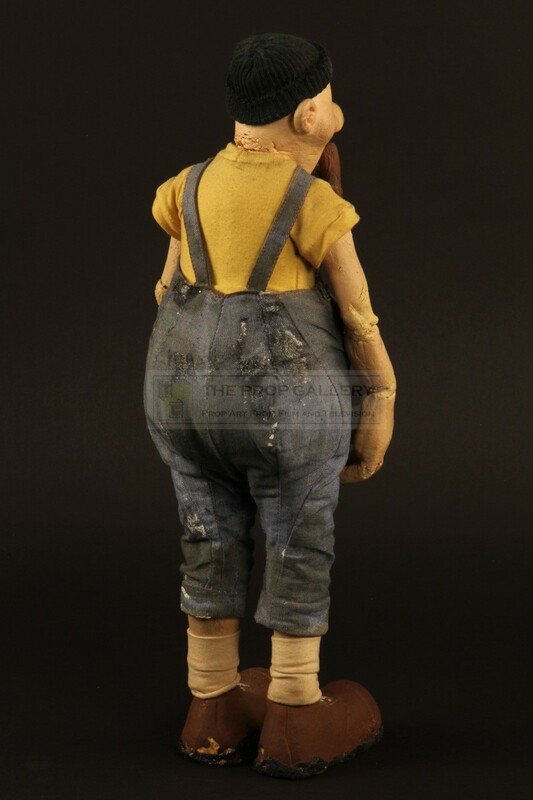 The puppet stands an impressive 15.5" high and remains in generally good condition with some touching up to the cracking foam having taken place in the years since production, this largely to the hands and arms with his face, stomach and legs remaining supple to the touch. 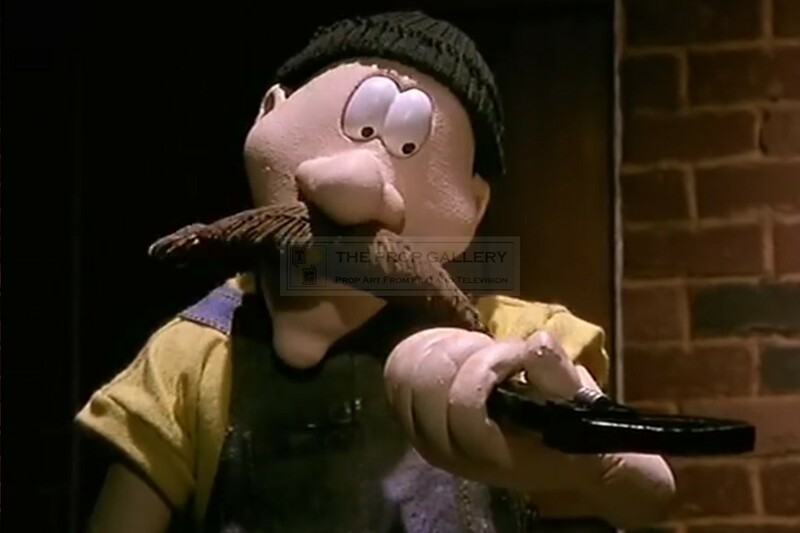 Overall the puppet remains in original and stable condition and represents a rare and highly displayable artefact from this popular mainstay of alternative comedy.